Pictures draw the attention of the buyer. In order to keep that attention, you need beautiful pictures that load quickly. Hence, you will need to optimize your images. This article will tell you how. What should the size of the image be? How can you make your online store structured and beautiful? How can you reduce the picture size but keep the details? Let us help you. All the examples in the article are made in Photoshop. If you don’t have Photoshop, we offer a couple of alternatives at the end. This is the era of high-resolution, large screens and high-speed Internet, but that doesn’t mean we shouldn’t worry about optimizing our images. Modern cameras make large detailed images that are suitable for high-end printing. Chances are your photographer will provide you with such images. However, when images are too large, they are not suitable for the Internet. They slow down the loading speed, especially when viewed on a phone. If you don’t want your visitors to become impatient and leave your store, you should reduce the size of your pictures. 1. The space it occupies on the screen. This size is measured in pixels (px), the points that make up the screen. In the Ecwid store you can upload images of any size, as they are always optimized to fit the width of the browser window. 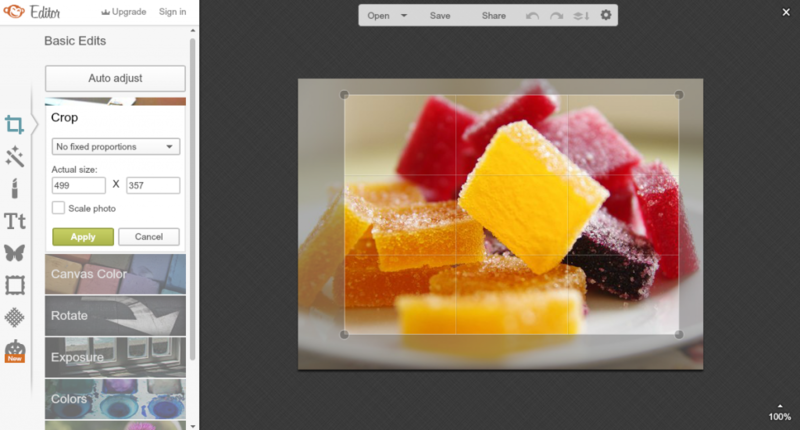 Nevertheless, it’s best to reduce your product images to about 1000 x 1000 px. That size is large enough to display the product and small enough to load quickly. 2. The memory space that it takes up, which is measured in kilobytes (kB). The larger the physical size of the image, the more storage space it will take up, and the longer it will take to load. To solve this problem, image file formats with compression were invented. 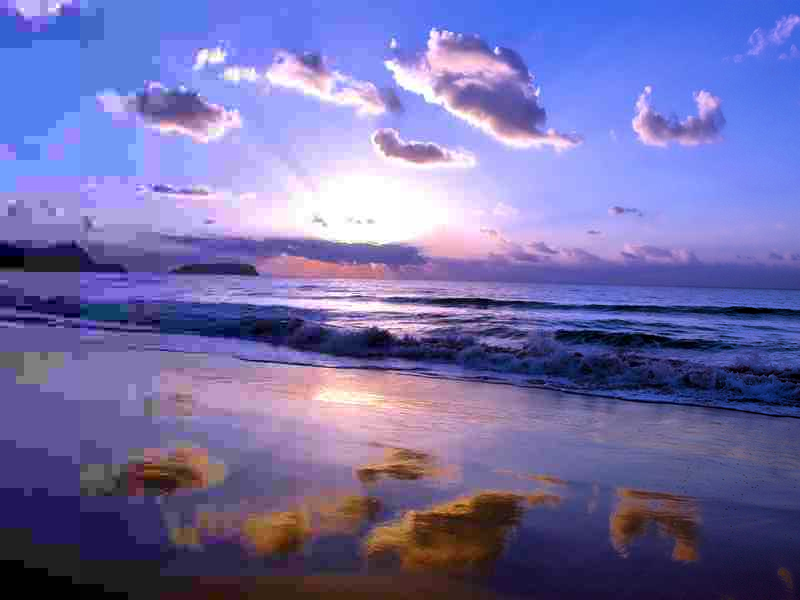 The picture is compressed by optimizing the color data. The best size for #ecommerce product images is 1000 x 1000 at 200 kB. However, strong compression degrades the quality of images: there is noise or an abrupt color transition. To avoid this, it is enough to save images in the correct format. 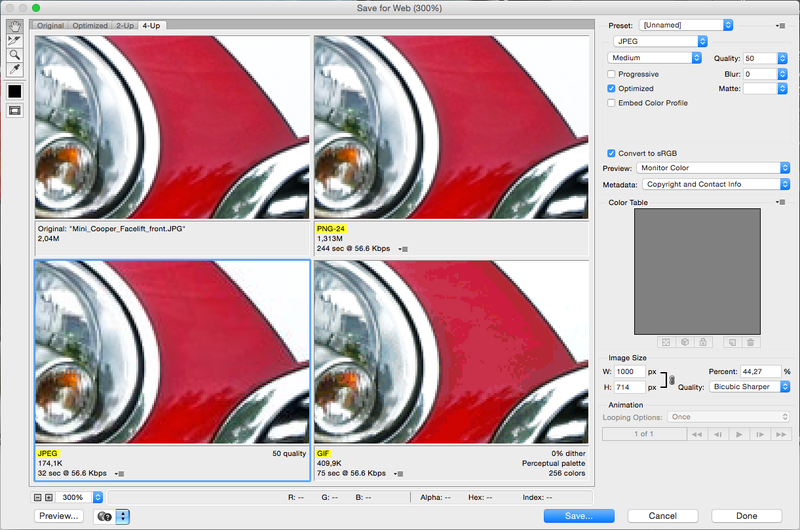 For a file size of about 1000 px, a good result will take up more or less 200 kB. How to choose the format is described below. – The picture has become smaller, but lost the details that I wanted to show! You’re right! Details are important. Frame your important details of the products, by cutting them out of the main picture. Add more pictures to the gallery. So you have dealt with the main image of the product, but you still want to show some details. Ecwid takes care of this: the default size of our automatically generated thumbnails is 230 px. You can change this in the settings of the control panel. If you do not use Ecwid, make the thumbnail size up to 40-50 kB. Research has shown that not every aspect ratio is pleasing to the eye. Over the years it has been defined a standard set of proportions, which will always have a nice result: 1:1, 4:3, 3:2, and 16:9. The proportions are important, as they define the look of your site. Give all your images the same proportions, as this will give your shop window a structured and professional look. If you have already reduced the size of an image, you have probably noticed that it has lost its sharpness. How do I retain the sharpness? 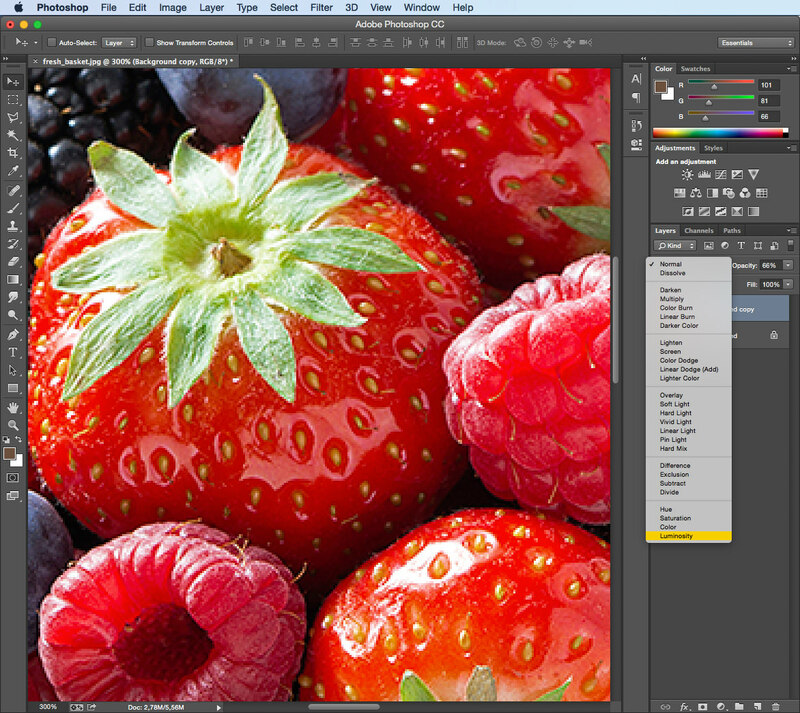 Most modern photo editors allow you to select a new image size when saving for Web, with a reduction algorithm that directly affects the sharpness. In Photoshop, if you use the right parameters (image size below 1000 px and quality = Bicubic Sharper), the result does not require subsequent adjustment. If the original image was very large, such as 5000 x 5000 px, do not reduce it directly. Do it in two or three steps, every time adjusting the sharpness. 1. 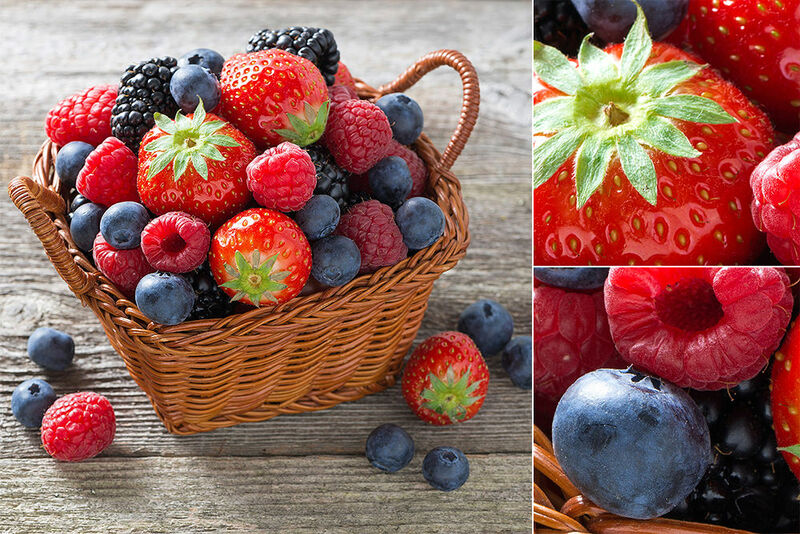 Reduce the image to the desired size: Image → Image Size + select Bicubic Sharper. 2. Copy the image to the second layer (Layer → Duplicate Layer). 3. Increase the sharpness of the second layer (Filter → Sharpen → Sharpen). 4. Adjust the opacity to adjust the sharpness (Layer → Opacity), and you’re done. Use luminosity mode for the second layer to avoid colored halos. Remove unwanted harshness by removing parts of the second layer. 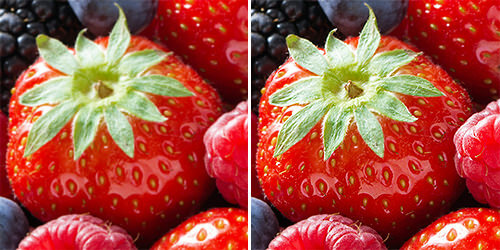 There are a lot of articles on this topic; just search how to increase the sharpness of pictures for more information. Once your images has the right proportions, size, contrast, and sharpness, it’s time to save it. You should select the appropriate format for the highest quality with the smallest size. GIF (Graphics Interchange Format — format for sharing images) is capable of storing compressed data without loss of quality in the format of no more than 256 colors. The format supports animations. For a long time, GIF was the most common format on the Internet, when PNG had not yet been established. PNG (Portable Network Graphics) uses lossless compression and stores an unlimited number of colors. JPEG (Joint Photographic Experts Group, the name of the developer) is the most common format for storing photos and other images. The JPEG algorithm allows you to compress the image as lossy and lossless. The smaller the loss, the larger the file size. 1. If you have a picture, choose JPEG with a quality of 50-80 units. 2. If your illustration has large planes, JPEG is not suitable, because it will create image distortion. Choose PNG instead. 3. Animated picture? Choose GIF. Do not use TIFF for the internet. This beautiful format was designed for printing, but is not suitable for the web. – Can I have even less? The following services offer file compression without quality loss: TinyJPG, JPEGmini, and TinyPNG. 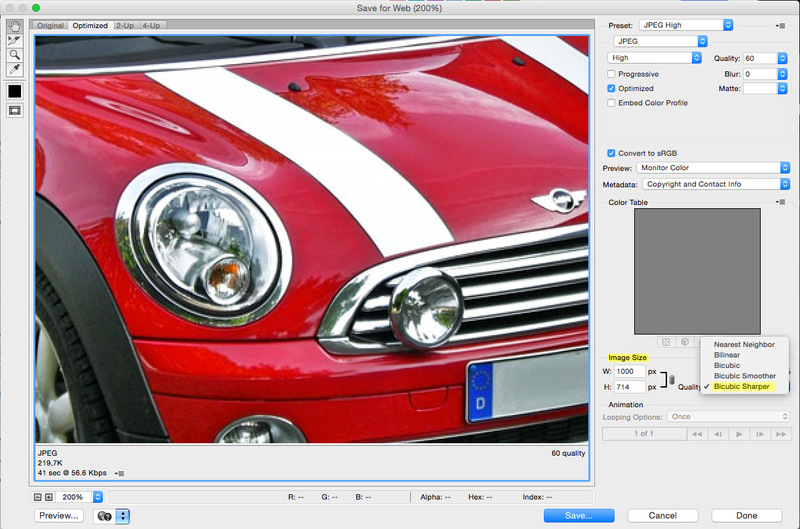 Photoshop offers a free online editor for basic image manipulation (e.g. cropping or resizing images). You can also buy a minimum version for $9.99 per month. The program is suitable for Windows, Mac and Linux. It offers everything you need for professional graphics and photographs: tools for layers and masks, color correction, retouching, and painting. Gimp supports all major image file formats. 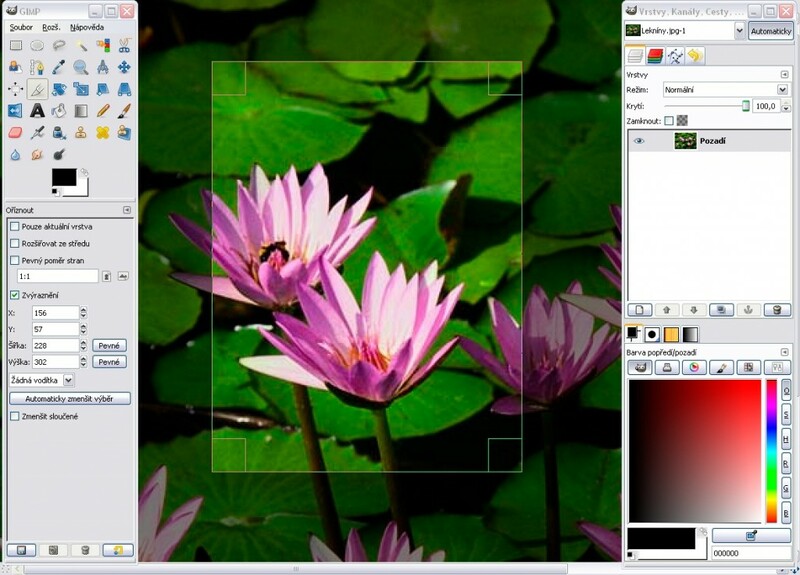 Graphic editor for Windows. Simple, intuitive and user-friendly interface. Not as good as Photoshop, but for editing photos for an online store it is good enough. The editor saves the change history, so any action can be canceled. It supports layers, has a large collection of tools and filters with flexible settings. Online editor with a simple interface and all the basic functions: cropping, rotating, sharpness control, working with color, choosing resolution photos. A huge set of filters ranging from professional (for example, the effect of film grain) to comic (for example, the effect of clouds or winter). To move to the new operation, you need to save or cancel the previous one. Most of the tools are available for free, but for some of the advanced features you will have to pay. Free online editor for beginners and professionals. Look and feel reminiscent of Photoshop. 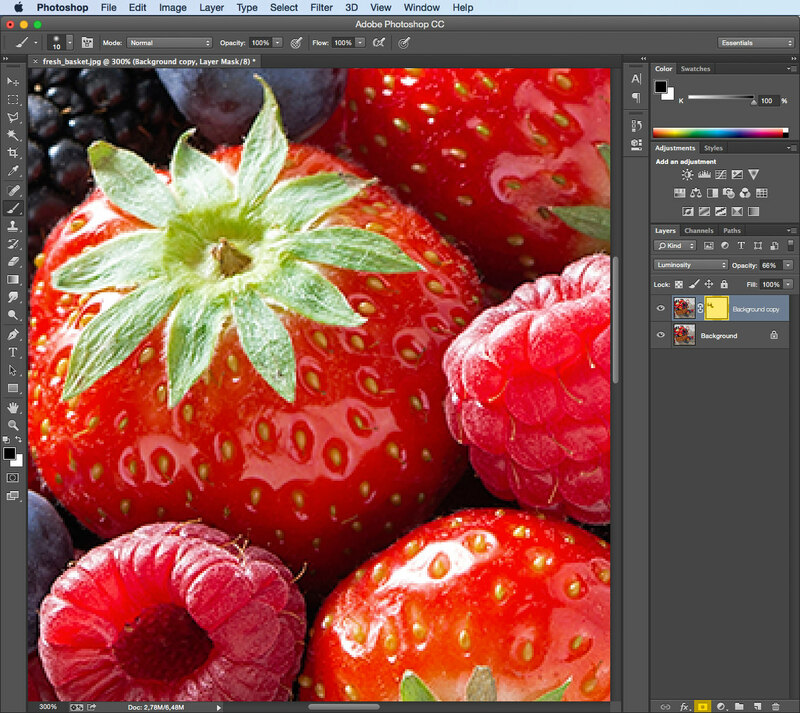 There are functions for color, drawing and photo editing. You can work with layers and use different effects and filters. 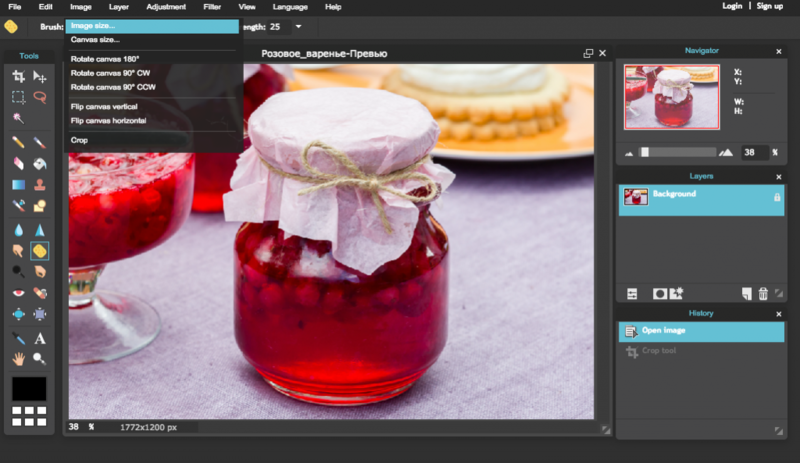 Pixlr Editor supports all popular image formats. Trim, edit, adjust sharpness, select the format, choose an editor… At first glance it seems complicated. Do not give up. The appearance of your store is worth the sweat. After the first ten pictures, you will be able to do it effortlessly. If you have any questions, feel free to ask them in the comments below this article.